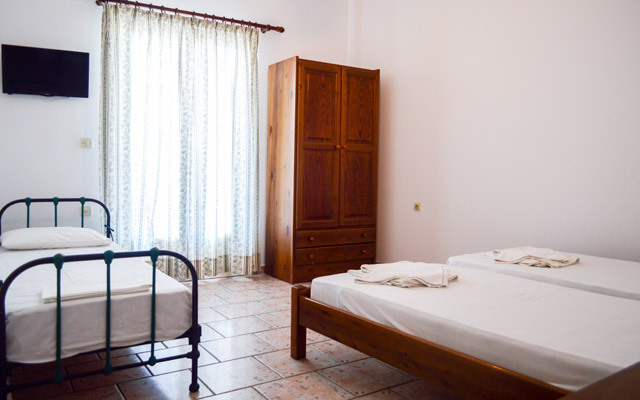 Studios Kalypso offers comfortable accommodation in Antiparos! 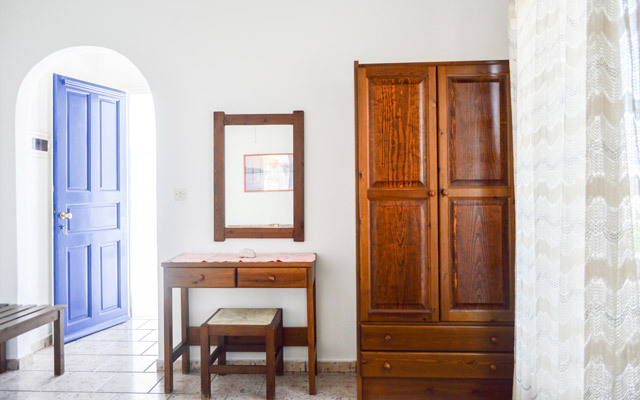 You can find Studios Kalypso, in a quiet part of town, about 70 meters from the main square and after 5 minutes walking from the port of Antiparos through the main road. It is a small family – company which consists of a double room, a one room studio for 2-3 people and a two-room studio for 4-5 people. Within walking distance there is the post office, mini markets, restaurants and shopping stores and all kind of entertainment. In about 5-7 minutes walking you will find the popular beaches Psaralyki and Sifneikos (sun set beach). On the ground floor of the building you can find «VA Fitness Club», fully equipped with the latest fitness machines and experienced trainer willing to help those who want to keep fit during their holidays.